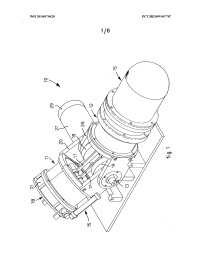 The technology enable a bi-cylindrical external combustion engine to modulate instantaneously the torque delivered to the drive shaft, thanks an action on the moving parts that produce a variation of motor phase characteristic, and the reciprocal, angular, position of the hot and the cold cylinder. The main innovation of the engine is based on the possibility of varying in a simple way the power on the shaft, so the motor can be used not only as a power generation system but also as mechanical propeller for marine or automotive traction. The engines currently available on the international market are based on designs and dated materials and therefore economically unattractive. A significant strength of the solution proposed by Innovative Technological Systems is the substantial reduction of generated polluting emissions compared to conventional engines. -Use the external combustion engine, in particular Stirling type for powertrain application. "External combustion engine comprising a drive shaft, a first cylinder kinematically connected to the drive shaft, a second cylinder kinematically connected to the drive shaft, and a thermodynamic circuit fluidly connected to both the cylinders, and having at least an expansion chamber and a compression chamber for a heat-carrying fluid, in order to determine the cyclic movement of the first cylinder and the second cylinder. The first cylinder is mounted on a first support frame and the second cylinder is mounted on a second support frame, distinct from and constrained in a mobile manner to the first support frame. Movement means are mechanically connected to the first support frame and/or the second support frame, in order to determine the desired relative movement of the first support frame and the second support frame and to vary the reciprocal kinematic connection phasing of the two cylinders with respect to the drive shaft." The company is looking for an outright sale, or an license agreement with a negotiable initial fee and successive royalties based on sold product quantity, that will be using technology. The principal market that we imagine for the technology is the non road engines market. In particular the agricultural low power engines, used in small tractors, small agricultural equipment and gardening equipment. But thanks the evolution of technology and others concurrent technologies we can indentify future utilizations field, like: military, land and sea vehicles, heat and cooling system connected whit heat pump technologies, every kind of agricultural vehicles and in field machinery, vehicles used in territories with logistic supply problems of fuel. 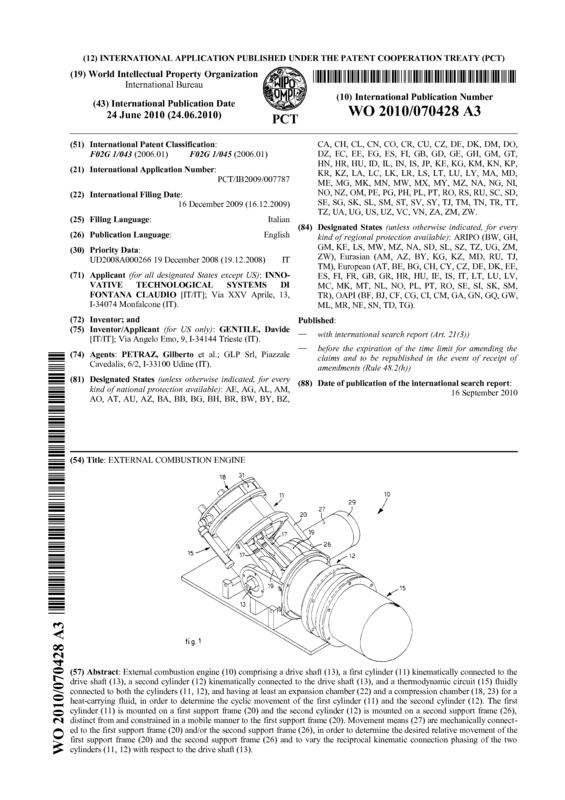 Page created at 2019-04-25 4:04:48, Patent Auction Time.